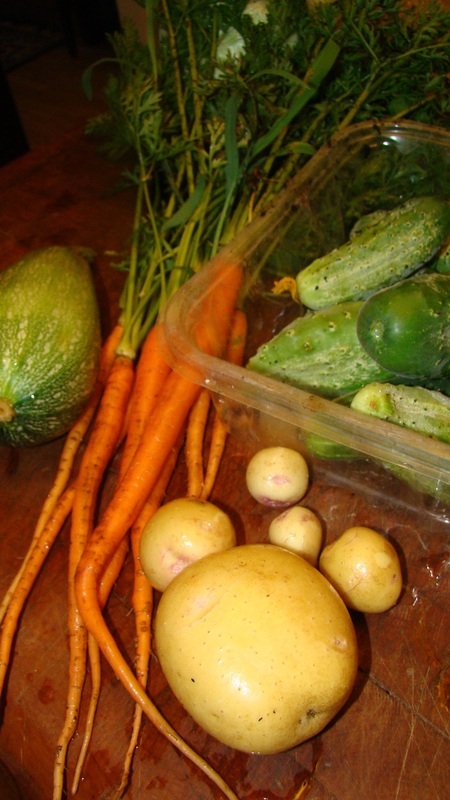 The first of our potatoes, the last of our carrots a lovely squash and gotta get cranking on making dill pickles! It takes about 20 minutes to milk a goat, I’m getting about a half gallon every morning. When we don’t need milk for the kitchen, it goes to Lizzy. Let me tell you, I have a strong handshake! Here’s what happens… Brian meets some work friends in Raleigh for lunch and brings back sourdough bread from the best bakery on the east coast. I am gifted some fresh salad greens that morning at the farmer’s market. A friend calls en route back from Atlanta with a cooler of gorgeous lobsters in his back seat and wants to know if he can bring them to our place for dinner. 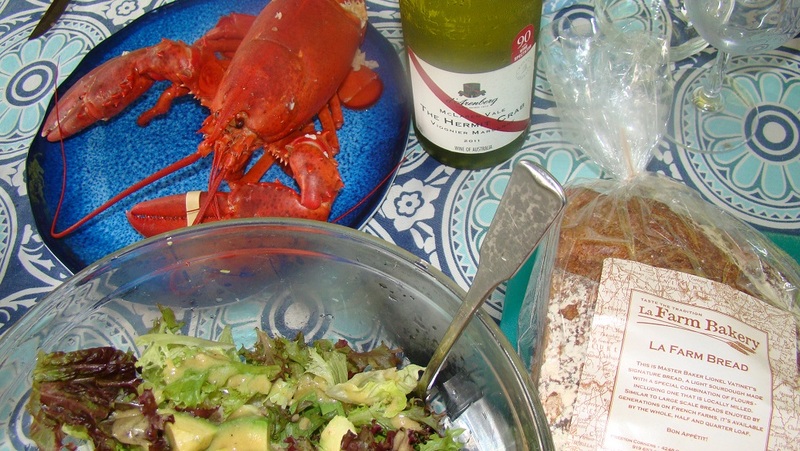 We have a lovely bottle of viognier in the fridge that we first discovered on the Queen Mary 2. Life is good. 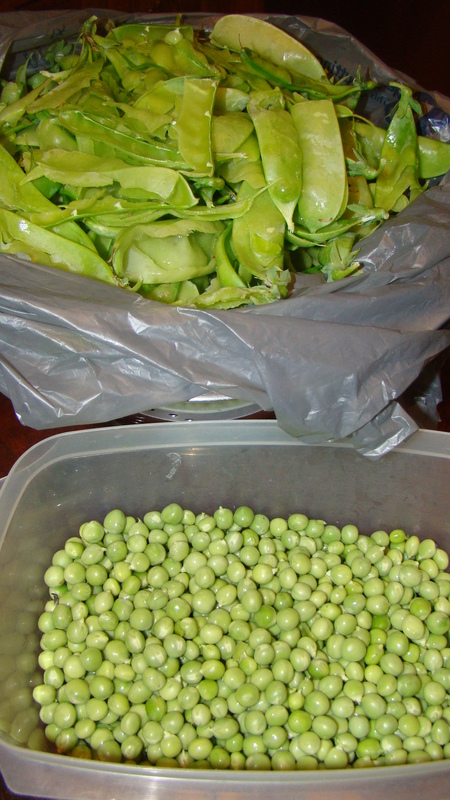 I finished harvesting the rest of our peas this morning. Our chickens are just as happy as we are, since they get the empty pods and the spent plants from our garden. 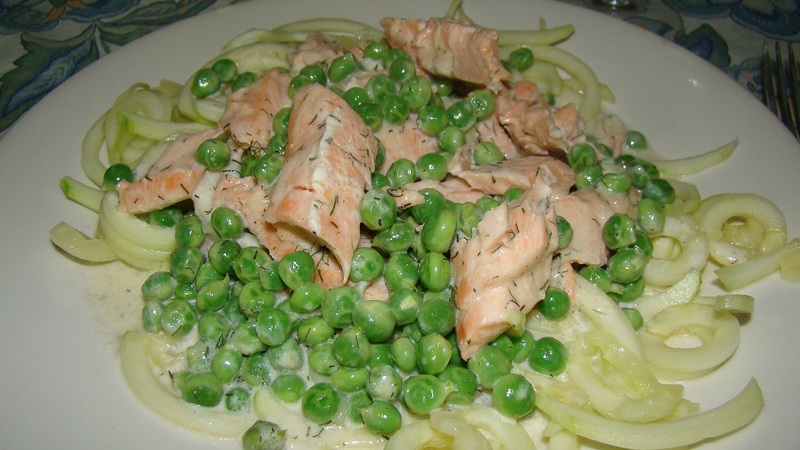 I made salmon and peas in a creamy sauce over spiralized zucchini noodles for dinner. 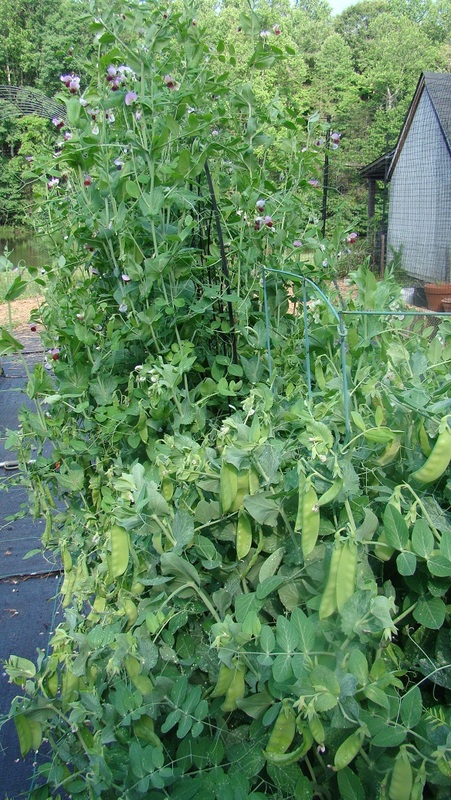 We may try growing them again in the Fall. It appears we’ll have tomatoes in a few weeks. Wheee! We’ve finally started harvesting them. The vines are taller than me with such pretty flowers. 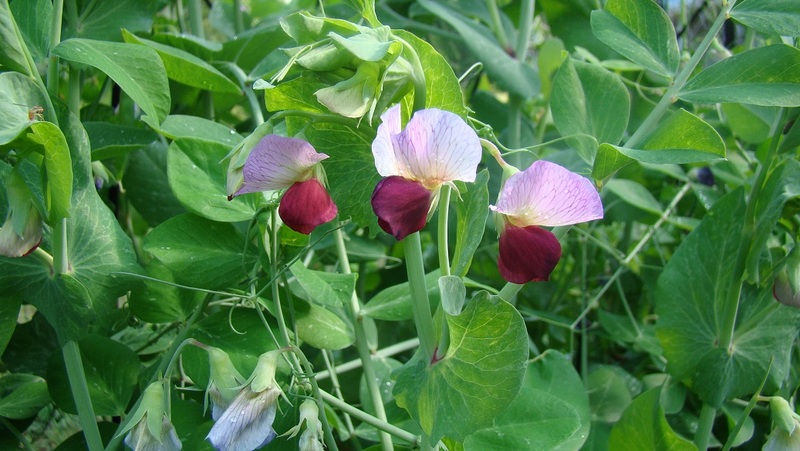 I’ve used them in risotto and am planning a creamy pasta with salmon and peas for dinner tonight. 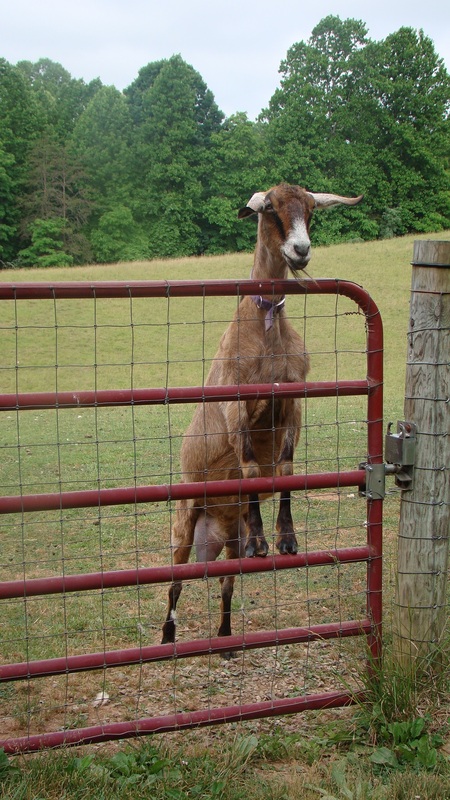 Hermione waiting at the gate for her daily ration of grain and alfalfa. And milking. Her feed trough ran out during milking one morning last week. She kicked in protest and I ended up wearing almost a full bucket of milk, dang it. Those overalls needed washing anyways. 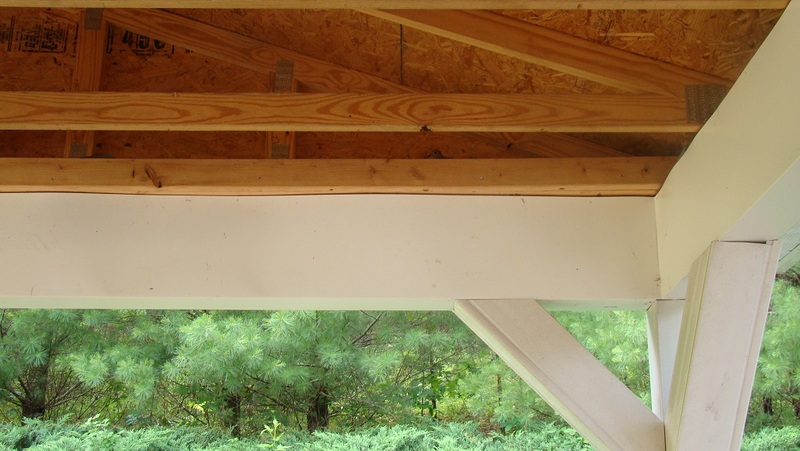 What’s that up in our back deck rafters? 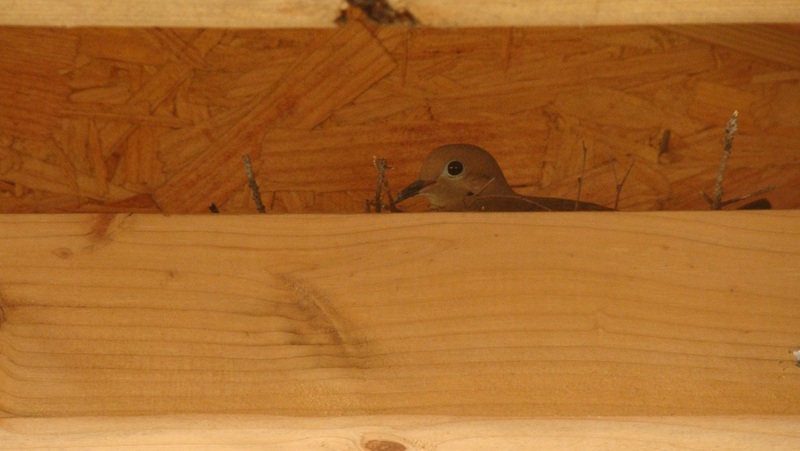 A dove has nested there and is sitting on eggs at the moment. Despite the large amount of time we spend out there this time of year, she doesn’t seem to mind us at all. The feeling is mutual.